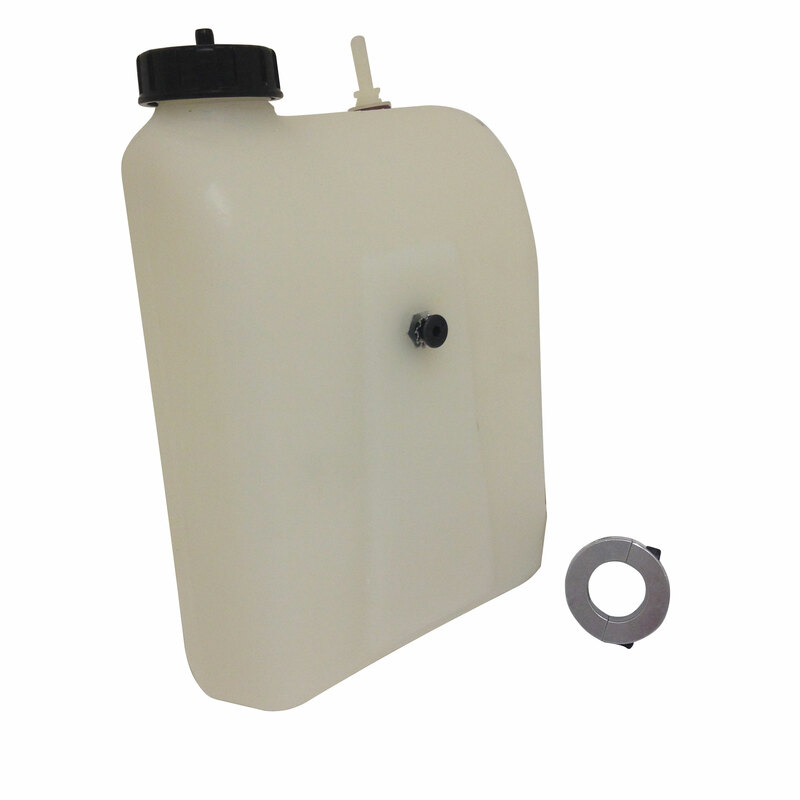 G-Man Plastic 3qt tank with top feed fuel line for gasoline or methanol. Overall Height with Cap: 9.5"
Q: How does it mount to the chassis? is there a screw at the bottom? A: It utilizes the lock collar provided. The lock collar attaches to the frame / frame component and then bolts to the back side of the fuel tank.